Situated in the Southern California coastal region, the City of Yorba Linda is located 25 miles southeast of Los Angeles. The Library serves an estimated population of 68,000 residents. Our library offers a collection of more than 150,000 books, periodicals, and media items. This includes Large Print, Spanish language, and Chinese language materials. Our media collections include educational and feature films, audiobooks, e-books, and video and computer games, including titles for Wii, WiiU, xBox360, Playstation 2, and Playstation 3. In addition, we offer monthly programming for all ages and interests. 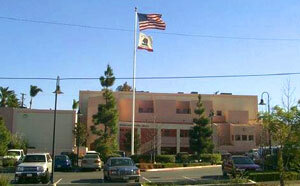 The Yorba Linda Public Library dates back almost 100 years when the first library opened in 1913. In 1959, the library moved to its current location and opened a 6,000 s.f. facility to serve a population of 1,198. In 1970 the population reached 11,856 and an 18,000 s.f. addition was added. In 1990 Yorba Linda’s population grew to 51,800, and the library moved into temporary quarters to renovate the current facility. The renovated library opened in 1992. The Yorba Linda Public Library facility has served its community well for over 50 years, but is showing signs of its age and heavy use. To meet the current and future needs of the growing community a new library is needed. Please visit our website for details.